***STAY COOL ON THOSE HOT DAYS! The Rip 'N' Dip is a tidal wave of hills and thrills, designed for those of you who do not want to deal with a pool filled with water. Dual 24' sliding lanes with two humps allow the kids to race side by side. What a trip!! Be hip and rent the Rip 'N' Dip today! 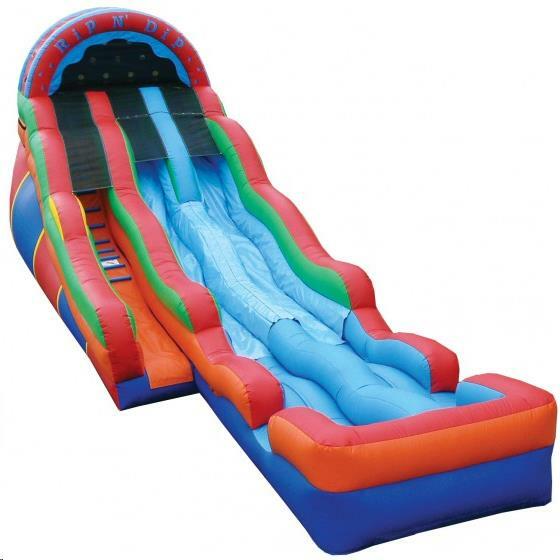 * Please call us for any questions on our rip n dip water slide rentals in Rocky Mount and Wilson NC.